ABOUT. The Turks and Caicos Islands comprise 40 islands and cays; only eight of them are inhabited. They are also home to the best beach in the world and the islands of the Turks and Caicos are as diverse as its people.. Located southeast of Florida below the Bahamas, the islands include the main island, Providenciales also known as “Provo”, Grand Turk Island where the capital is located, the five Caicos islands, and Salt Cay. The two island groups are in the North Atlantic Ocean, southeast of the Bahamas, north of Hispaniola, and about 1,000 kilometres (620 mi) from Miami in the United States. 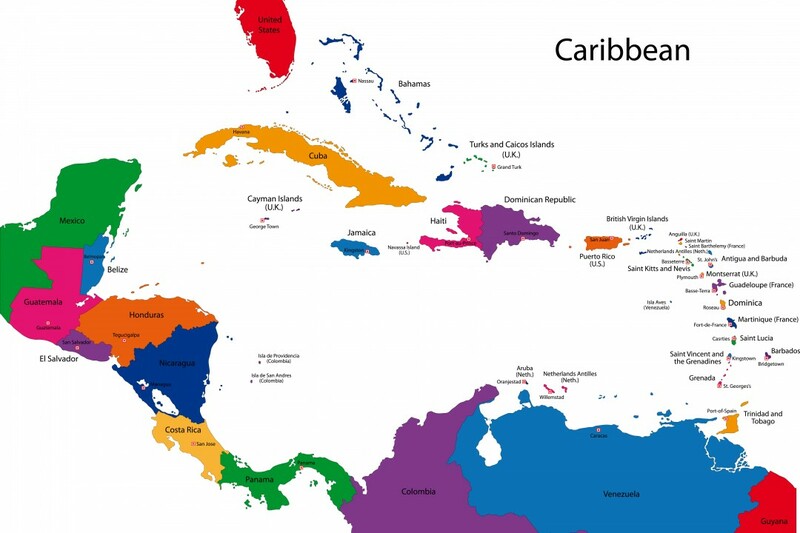 The two distinct island groups are separated by the Turks Passage.The Caicos Islands are separated by the Caicos Passage from the closest Bahamian islands, Mayaguana and Great Inagua. The eight main islands and more than 299 smaller islands have a total land area of 616.3 square kilometres (238.0 sq mi) consisting primarily of low, flat limestone with extensive marshes and mangrove swamps and 332 square kilometres (128 sq mi) of beach front. Cockburn Town (pronounced Coburn) is the nation’s capitol and has the Turks & Caicos National Museum. The original settlers were the Taino and Lucayan Indians. The Turks and Caicos Islands are named after the Turk’s-cap cactus (Melocactus communis), and the Lucayan term caya hico, meaning string of islands. The first inhabitants of the islands were Arawakan-speaking Taíno people, who crossed over from Hispaniola sometime from AD 500 to 800. Around 1200, the Turks and Caicos Islands were resettled by Taínos from Hispaniola. Archaeological finds of beads, canoe paddle, and potshards date the “island men” from A.D. 700 to A.D. 1520. These peaceful people seem to have paddled from Hispaniola and soon thrived on the natural abundance of conch, fish, turtles, plantings, maize, medicinal herbs and other fruits. For years pirates and buccaneers used the Turks as a convenient stopover until the late 1600s when Bermudian salt collectors settled the Turks Islands. Salt became a valuable trading commodity. This early trading route from Bermuda to the Turks to the Eastern seaboard of the North Americas created a triangle of trade commerce referred to as the “Bermuda Triangle”. From 1765–1783, the islands were under French occupation, and again after the French captured the archipelago in 1783. After the American War of Independence (1775–1783), many Loyalists fled to British Caribbean colonies; in 1783, they were the first settlers on the Caicos Islands. In 1799, both the Turks and the Caicos island groups were annexed by Britain as part of the Bahamas. Since August 1976, the islands have had their own government headed by a chief minister. Each island offers a different experience and unique character. The weather is usually sunny and relatively dry, but suffers frequent hurricanes. The islands have limited natural fresh water resources; private cisterns collect rainwater for drinking. Providenciales is the most frequented by tourists and most of the islands can be reached by air and boat. Grand Turk and Salt Cay showcase Caribbean history with great Bermudian architecture, charm, and some of the best diving in the world. Middle Caicos and North Caicos have lush green woodlands, the biggest cave network in the Caribbean on Middle Caicos, and a vast range of plant and birdlife. South Caicos is the center for fishing, with lobster and conch exported from the islands, the historic Cockburn harbor and the natural phenomenon of the boiling hole. The Boiling Hole is a naturally formed subterranean underwater passage that connects the ocean to the main salina pond on South Caicos. The Turks and Caicos Islands are well known for ripsaw music and their annual Music and Cultural Festival. Women continue traditional crafts of using straw to make baskets and hats on the larger Caicos islands. The primary natural resources are spiny lobster, conch and other shellfish. Turks and Caicos cuisine is based primarily around seafood, especially conch. Two common dishes are conch fritters and conch salad. Turks and Caicos Islands has one of the longest coral reefs in the world and the world’s only conch farm. The island’s most popular sports are fishing, sailing, football (soccer) and cricket (which is the national sport).